At our Kia dealership in LaSalle, you can trust your car to our mechanics, and they will offer you high-quality Kia service in Montreal. In fact, with their vast expertise, they will be able to shine up your car, whether you have small scratches to cover up or a little bit of rust. To buy parts for your Kia vehicle near Montreal’s South Shore and the West Island only minutes from Châteauguay, or to make an appointment, contact us. If you are looking for vehicles parts near Montreal’s South Shore and the West Island, you’ve come to the right place. At Kia de LaSalle, we have a large quantity to better meet the needs of our Brossard and Saint-Constant customers. All the products that our mechanics use are guaranteed to be of superior quality and ensure you will have an optimal repair to the mechanics of your vehicle. To find out about the availability of parts at our store or to order some, fill out the online form for Kia Service, parts, and accessories. 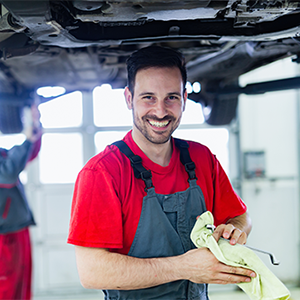 At Kia de LaSalle, our team of expert mechanics puts all their knowledge to work for your vehicle in order to offer you the best possible Kia maintenance service. Give your car an engine shampoo or provide it a complete interior and exterior wash thanks to our automobile detailing service. Our auto body service will take care of getting out any dents, retouching the paint job or antirust treatment that will prolong the lifespan of your car. If you want to make an appointment with our service department, contact us, we will set up a time so that we can offer you our Kia service in Montreal, near Châteauguay. Living up to its reputation, Kia de LaSalle, a member of the Groupe Couture, makes sure that all repairs or maintenance services are done with care. All our mechanics are extremely thorough and perfectionists. They ensure that your car is 100% safe before putting you back on the road to Brossard and Saint-Constant. Put your faith in them!